Did you know you can affect your baby’s oral health before you even conceive?!? 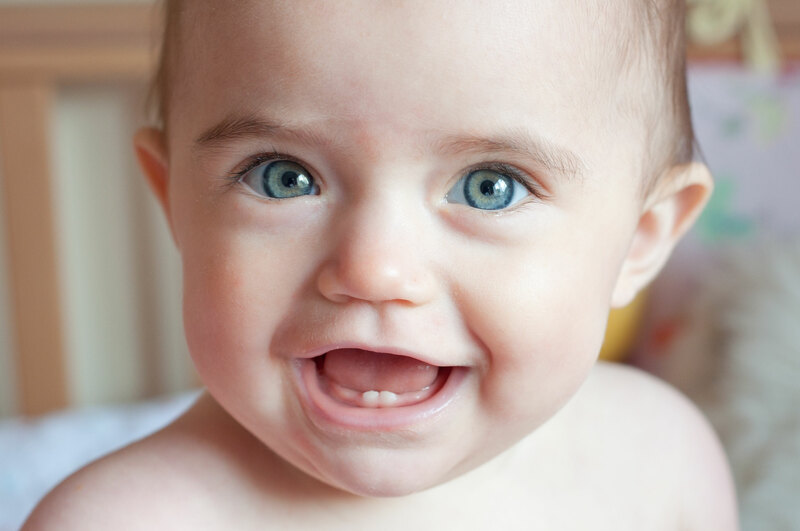 Did you know that when your baby is born, s/he will begin to make to make permanent teeth? Did you know some babies are actually born with their “baby” teeth? We were lucky to have Dr. Julie Haman of St. Paul Pediatric Dentistry give her time generously at our Mom’s Group this week, talking all about taking care of little ones’ teeth. Here are just some tidbits of wisdom she shared with us. Baby’s oral health starts before conception! Studies show that mom and dad’s oral health can have a profound effect on baby’s oral health. Maintaining good dental hygiene habits even before conception can lower the risk that baby will get cavities years later. Studies have found that if a mama uses Xylitol regularly before conception, during pregnancy, and in the first 6 months postpartum, she can reduce baby’s risks of cavities. Dental decay can be passed from caregiver to baby through saliva. Our saliva carries the bacteria that causes cavities. Sharing spoons, giving kisses, “cleaning” that pacifier with our mouths and other common saliva-swapping care between caregiver and baby can introduce cavity-causing bacteria to baby. The risks are higher if the caregiver has recently had an active infection/cavity. Active oral hygiene begins with that first tooth. Ideally, when you baby gets his or her first tooth is the best time to introduce regular brushing or other cleaning of the teeth. Bath time can be a great time to give those tiny pearly whites a little scrub. (You don’t need toothpaste if they are under a year and should avoid fluoride until then, as it can cause staining/whitening of the permanent teeth). You don’t have to make it a big deal or stress out about it, but early, positive introduction of teeth cleaning can help now and down the line. Dr. Haman also suggested just rubbing a wet washcloth along the teeth and gums in the bath or at night. Breastfeeding sugars alone do not cause decay. While dietary sugars and carbohydrates are a major cause of tooth decay, the sugars from breastfeeding do not pose a risk of tooth decay in babies who are exclusively breastfed. Once other foods are introduced, however, the risk of diet contributing to tooth decay begins. Frequent snacks and sugary drinks are a common cause of cavities. Dr. Haman explained that having 3 or more snacks or sugary drinks (even fruit juice) per day can increase the risk of cavities—and it’s the frequency that matters here. She also explained that not all snacks are created equal. Tooth friendly snacks include those that are crunchy and hard—such as apples, grapes, and carrots. Also, cheese can actually prevent cavities and so makes a great snack. Foods that increase the risk of cavities include sticky foods like raisins, candy, and sticky fruit snacks. Carb-heavy snacks like cheerios are also less tooth-friendly. She advises if these latter snacks are offered to give them at the first part of snack and finish with a crunchy hard snack option and/or water. Brush with fluoridated toothpaste twice daily after the age of one in high risk kids and after age two in lower risk kids. Kids need help brushing for at least the first decade of life. Limit juice, soda, and milk except at mealtime. Visit the dentist every six months and get fluoride treatments. Dr. Haman’s office offers free first visits to all babies under 18 months. During this visit you can learn much more about preventative oral care.